Home→Uncategorized→Thought You Could Go Without Us, Huh? ← Don’t Ask Me To Babysit Again! Thought You Could Go Without Us, Huh? 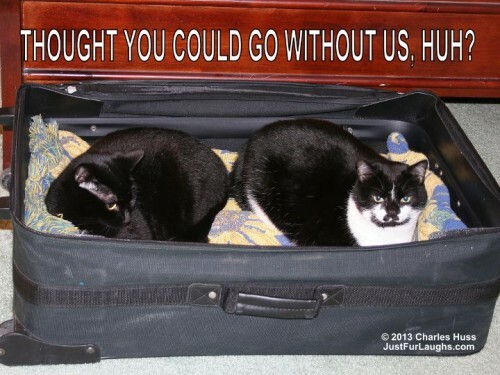 Everyone with cats knows that this is what happens when you get the luggage out of the closet.